This smooth and sweet, yellow-orange colored fruit is a good source of vitamin A, B vitamin, vitamin C, magnesium, calcium, iron, sulfur, manganese, and so on. Facial masks and scrubs prepared from apricot exfoliate the skin, unclog skin pores, improve skin tone, eliminate blemishes, reduce blackheads, and make your skin healthy and radiant. Moreover, it helps soothe itching and minor skin conditions like eczema, scabies, and so on. Besides, application of apricot kernel oil improves skin elasticity and suppleness. Being light oil, it does not clog skin pores and benefits oily skin. It is also suitable for sensitive skin. You may add this oil in homemade shampoos and conditioners as well to moisturize your hair, add shine, and stimulate hair growth. • The most commonly used scrub prepared from this fruit involves blending apricot pulp (remove the seed) to get a puree. Apply a combination of three tablespoons of this puree and a teaspoon of apricot kernel powder on your face and neck in circular motion. Rinse it off after about 20 minutes to get beautiful, clear skin. Most apricot skin-care recipes for exfoliation include finely ground apricot kernel powder. 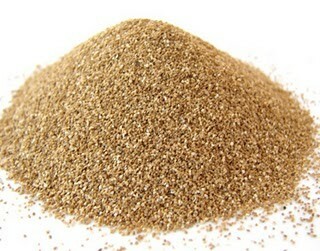 However, if you do not have this powder, you may replace it with almond powder or simple oatmeal. • You can prepare a homemade body scrub by mixing six tablespoons of apricot kernel oil, two tablespoons of sweet almond oil, half a teaspoon of vitamin E oil, and 15-10 drops of Sweet Orange essential oil in a cup of apricot kernel meal (finely ground meal made from the pits of apricots). Massage this recipe onto your skin for exfoliation. Wash it off with lukewarm water and then with a splash of cold water. Follow up with a toner and moisturizer. You can find apricot kernel meal here. • Make a face scrub by combining three tablespoons each of apricot pulp, papaya pulp, and a teaspoon of apricot kernel powder. Leave this mixture on your face for 15 minutes to get soft, glowing skin and remove blemishes. • Blend half a cup each of dried apricots, warm water, and one tablespoon each of dry milk powder, and honey in a blender or food processor. Scrub your face gently with the resultant paste and rinse it off after 20 minutes to rejuvenate your skin and correct poor skin tone. 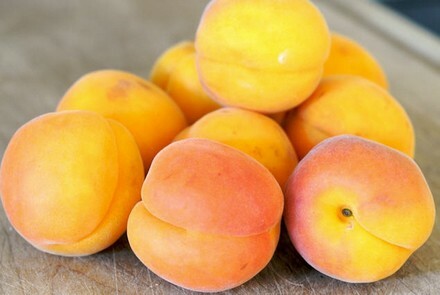 • Take two ripe apricots, cut them, and remove the pit. Blend the fruit along with two tablespoons each of organic honey and ground almonds. Apply this facial mask on your face and neck. Finally, wash it off with lukewarm water after 20 minutes to make your skin soft and smooth. It can also help remove blackheads. • Boil an avocado and two large carrots in water to make them soft. Drain the water and blend the fruits to form a puree. Next, add two tablespoons of plain yogurt and three tablespoons of honey in it. Leave this mask on your skin for 15-20 minutes and then rinse it off with lukewarm water. • Simply applying mashed or pureed apricots on skin regularly for about 30 minutes works as a natural home remedy for blackheads. • You can nourish your skin by using face masks prepared by combining different fruits like avocado, grapes, papaya, kiwi, etc. with apricot. In case you do not have fresh apricot, you may soak dried apricots in water and then use. Apart from applying apricot and apricot kernel oil on skin, you should also include this fruit in your diet as it protects eyesight, reduces the risk of developing cataract, prevents heart disease, cures indigestion, and heals iron-deficiency anemia.